The multibillion-dollar nursing home industry provides care for millions of Americans, particularly elderly residents and those with significant physical and cognitive disabilities. 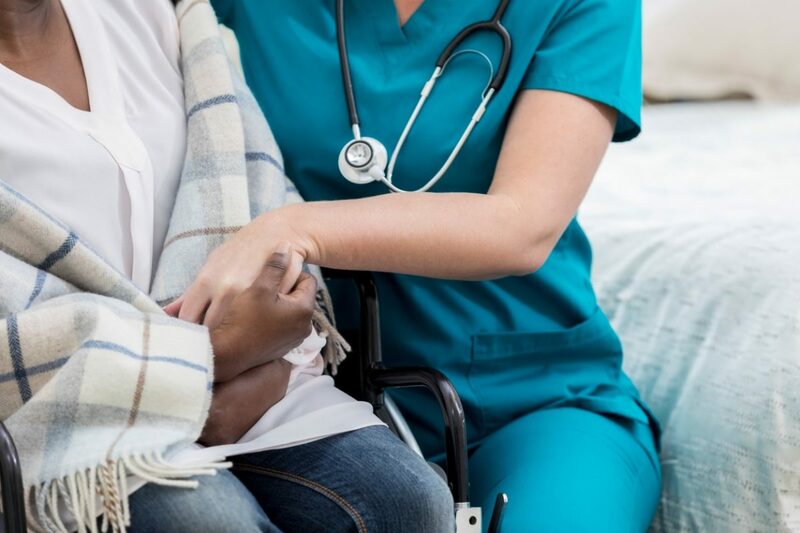 Nursing home facilities are regulated on both the state and federal level; regulatory agencies like the Centers for Medicare and Medicaid Services are tasked with penalizing those facilities that do not comply with strict safety and care standards. Nursing home insurance is only one part of a comprehensive risk management process that ensures resident safety; remaining in compliance with regulations is the key to long-term success for these dynamic business entities. In this guide, we’ll explore what happens when a nursing home has a fine levied against it. Before diving into how nursing home fines work, it is important to understand the current medical industry landscape at large. The industry is a powerful lobbying group, advocating for patient safety as well as for reducing certain regulations that can harm profits. The nursing home industry, for its own part, has been quite successful in encouraging federal agencies to loosen restrictions and to reduce fines and penalties for non-compliance. In fact, fines levied against care facilities for causing injury or endangering residents have been reduced by the Trump Administration as part of the administration’s deregulation initiatives. In most cases, fines have been reduced by nearly half; the way fines are calculated was changed by an order that erases Obama Administration-era rules. Despite these regulatory shifts, nursing homes are still at risk of substantial fines for non-compliance. When and Why Are Nursing Homes Fined? Nursing homes have a duty to provide a safe environment and adequate, compassionate care for their residents. For the most part, care facilities are able to fulfill those duties. Unfortunately, abuse claims and neglect are common in the nursing home industry. In order to protect resident safety, the Centers for Medicare & Medicaid Services (CMS) is tasked with regulatory oversight, inspecting nursing homes across the country and levying fines on those facilities that are out of compliance with established standards. Fines and correction enforcement can cost care facilities thousands of dollars, with the average fine—for endangering residents or causing injury—around $28,000 per infraction. Non-compliance with standards, especially willfully neglecting to correct known hazards and practices in violation with those standards, can result in other exposures. These can include issues with the nursing home insurance policy – few nursing home insurance policies cover willful or neglectful non-compliance, particularly if the facility is a repeat offender. Legal claims of negligence by residents and their family members may also interfere with the facility’s ability to not only correct issues, but to provide care for residents. Fines are levied based on the level of deficiency and the severity of specific non-compliance issues. These fines can run into the thousands of dollars, negatively impacting smaller facilities but only representing a rounding error to large multimillion dollar care facility networks. Nevertheless, these fines are some of the first ways that regulators attempt to encourage facilities to remain in compliance with standards. First and foremost, it is imperative that nursing home facilities understand the regulations and standards they must adhere to. These regulations change on a continual basis, and facilities must be able to adapt to the changes in an efficient manner. Second, it is critical that any non-compliance issues be corrected immediately. The sooner the deficiencies are corrected, the less likely that fines will accrue. Finally, forward-thinking nursing home facilities will implement regular internal inspection and practices reviews to ensure that the facilities are fulfilling their duties to residents in a safe manner. As a supplement to these risk management practices, comprehensive nursing home insurance plans can offer needed protection against financial losses arising from resident injuries or claims of neglect.